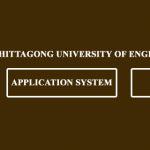 Rajshahi University of Engineering Technology RUET has announced their undergraduate program on their official website of Ruet (http://www.ruet.ac.bd/) according to the RUET admission Circular 2018-19, We have organized it here. There are total 1110 Seats for the Ruet Undergraduate program. There are also 5 reserved seats for the Tribes and Chittagong Hill tracks people. Without the Payment, The application form will remain pending. Payment can be made through Dutch Bangla Mobile Banking and from Any Agent Number. Follow the below instruction to make payment of Admission Test Fee. You will get confirmation SMS with transaction Id. Keep saving the Transaction ID in Secure Place. After the Application dead line RUET University Authority will publish the eligible Candidate list on their website of ruet.ac.bd. RUET authority will publish the 7000 applicant list to sit for the exam. Total 350 Marks writtern exam will be held on the admission test. No MCQ type question will be available. Kha Unit Applicants have to face extra 100 Marks Free hand drawing Exam. Marks Distribution : Physics – 100, Math – 100 , Chemistry – 100 Marks and English 50 Marks . 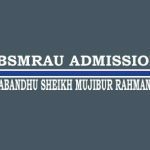 RUET Admission 18-19 Result will be published after the admission test held. RUET admission result 2018-19 will be available on the official website of RUET as well as here. After the publishing of result of RUET result, the admission notice will be declared. We will try our best to update all the RUET admission Notice here. job news is very important for who search.it is very helpful for us for searching job.